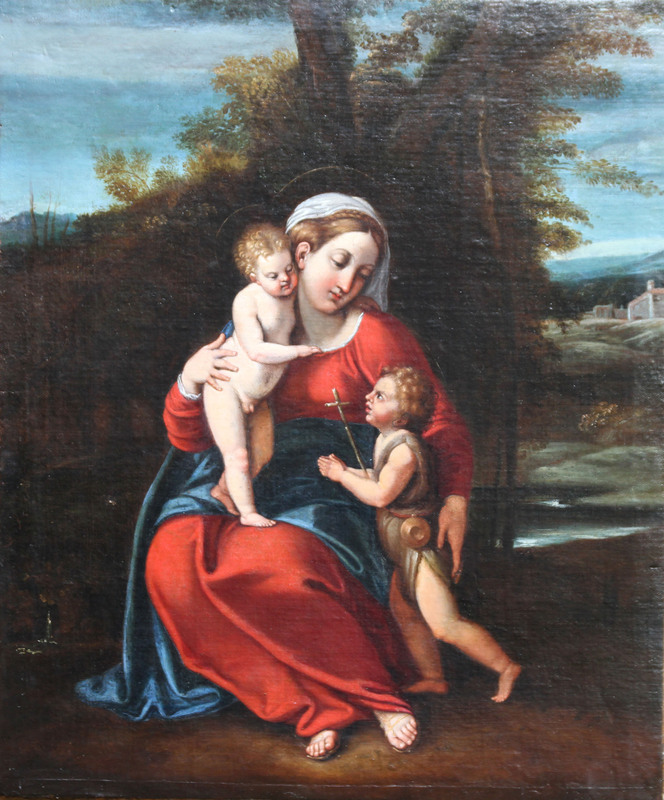 A stunning religious Old Master circa 1650 oil on canvas depicting The Madonna and Child. Attributed verso to the Italian School artist Annibale Carracci it dates to 1650 or earlier. 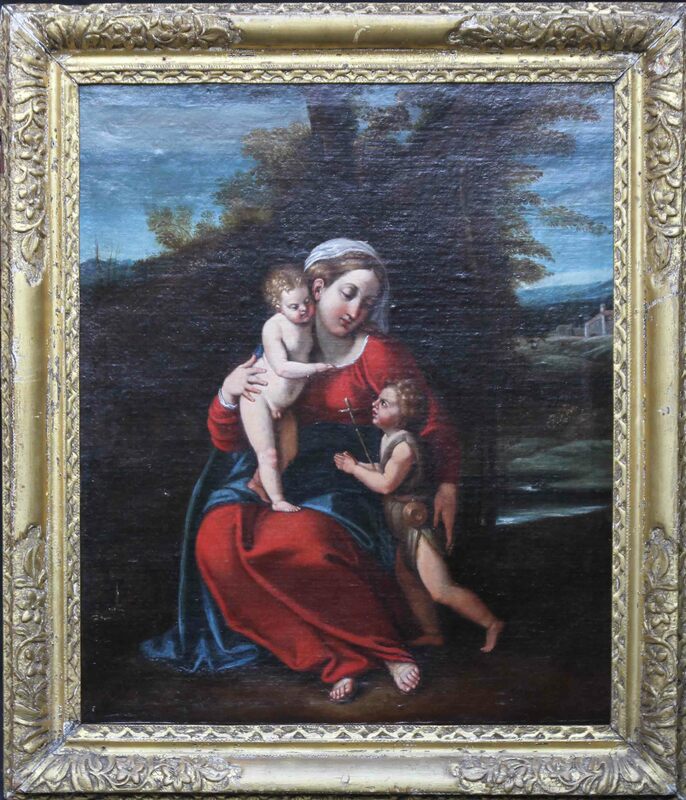 A superb 17th century Old Master in a fine carved frame. It is sublime in its execution, a very fine artwork which has had restoration and been relined some time ago but is in good condition. Framed size 38 inches by 33 inches approx. Good period frame.